Gifting your crocheted sweaters and hats is like sending your children out into the world. Will they be treated kindly? Will they be appreciated? 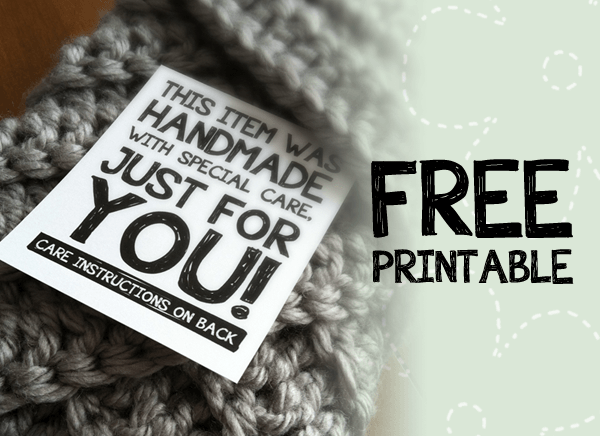 Print and attach these Printable Labels for Handmade Items to the products of your hard work and your gift recipients will get the idea! The tags come in two sizes and give you blank space to include care instructions.